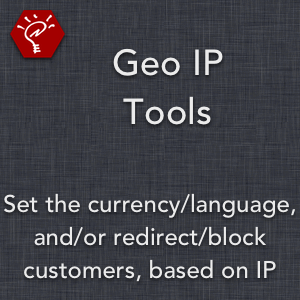 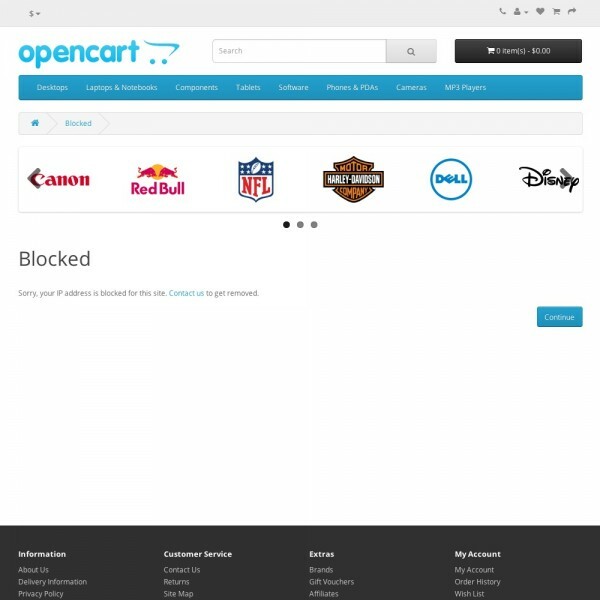 Change the currency or language, and redirect or block customers, based on their geo IP location! 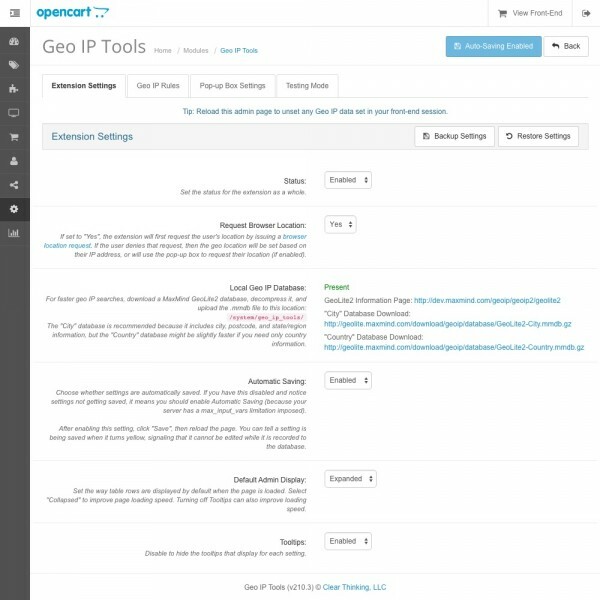 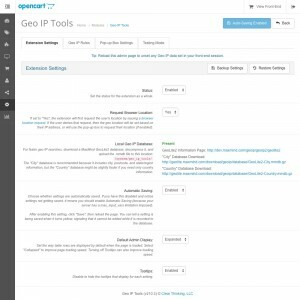 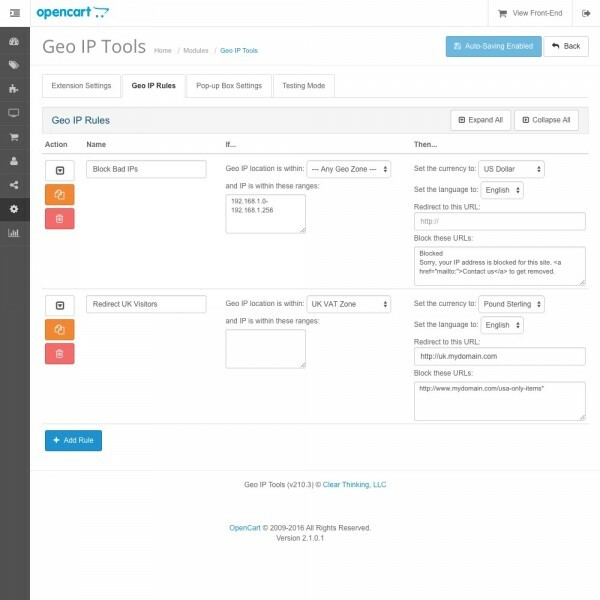 This extension automatically determines the customer's location based on their IP address, as well as lets you choose whether to display a pop-up that allows the customer to change their location, to avoid inaccuracies. Redirect customers to a specified URL, or block specific URLs for customers, based on their IP address and/or geo IP location. 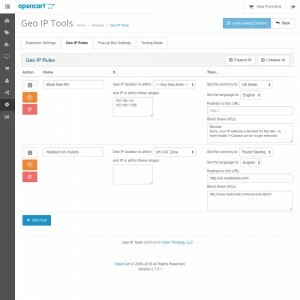 Optionally request the browser location from the customer, for more accurate positioning data than their IP address provides. 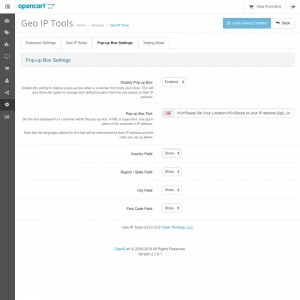 If the browser location request is turned off or fails, allow the customer to choose their location within a pop-up that appears when first visiting the site. 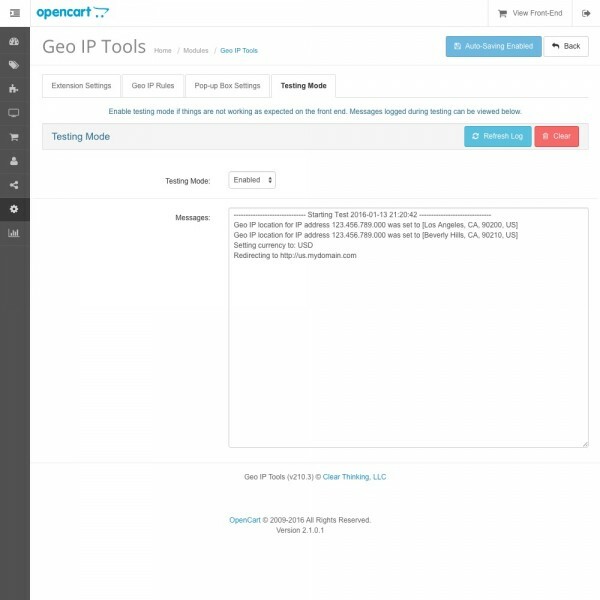 Automatically set the customer's shipping country, zone, and postcode based on the determined location. 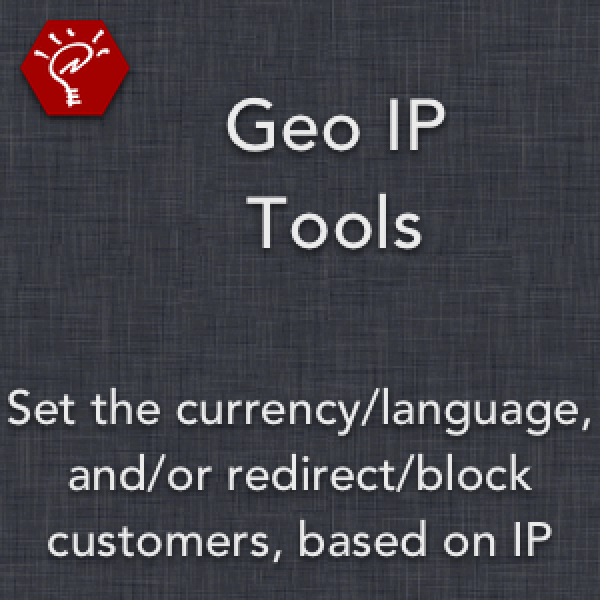 Optionally download and use a local database file to improve the speed of geo IP lookups. 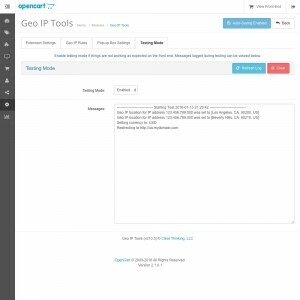 Use the included Testing Mode to determine why things are not working on the front-end as expected.